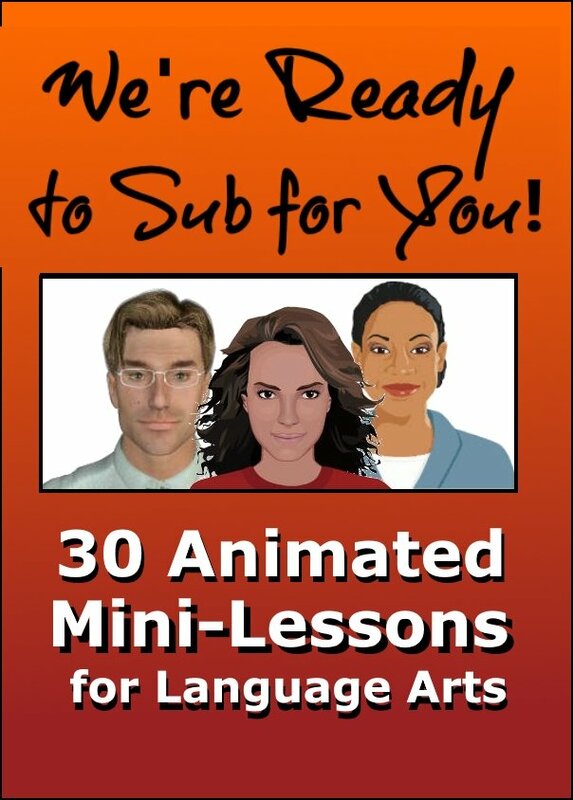 This series of 30, newly-updated language arts mini lessons (MicroLessons) features animated, talking avatars who present English skills and topics to your classes of middle school students, grades 5-9. Just connect your computer to a digital projector or SMART Board, select a student to operate the mouse and let the avatars do the teaching for you. Then, it's your call--relax, grade papers, or partner-up with them! 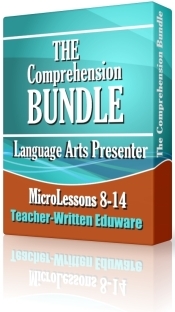 The kids love these MicroLessons, and the cool thing is that they learn from them too. Important Note: Each of these MicroLessons will run on all of the most-widely used web browsers, including Internet Explorer, Firefox, Chrome, Safari, and Edge. As a result, you may access them from all versions of Mac AND Windows! a word search and crossword puzzle (full versions only). 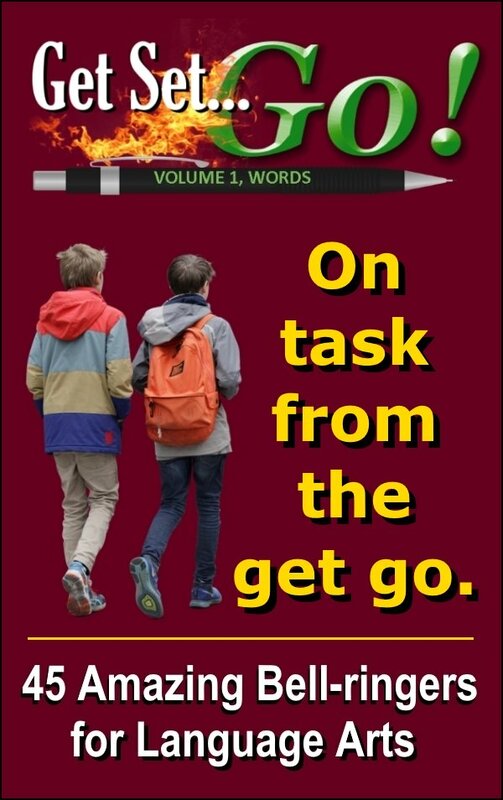 Thoroughly tested with actual students in real-life, public middle school classrooms--the vast majority of students become engaged, responsive, and productive (even the knuckleheads). 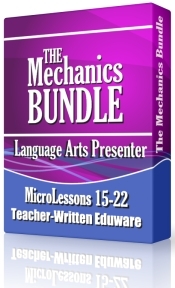 MicroLessons may be purchased individually for the teacher-friendly price of $4.95. If you get them in bundles, however, they are over 50% off! 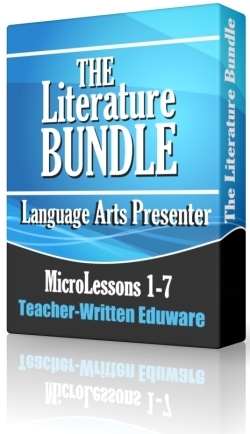 What follows is a listing, by bundle, of the titles that are available. For additional details, screenshots, and free, fully-functioning demos (not intended for classroom use), please follow the provided links. 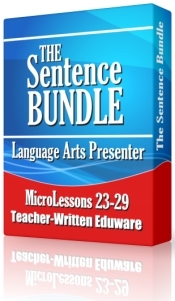 Each MicroLesson listed above (and in the Mini Lesson Tools categories in the navigation bar at the left side of the screen) is available in both a free trial version and a full version. Oh, by the way. The words found in the word search provide the word bank for the crossword puzzle.